I'm working on my MBA thesis this year and my research is about the relationship between LEGO counterfeit products (clone brands) and its impact on brand loyalty. I've created a questionnaire and would very much like you to participate in the survey. I am both 40-44 and over 40, yet can only select one option. Maybe you should proof read it. There is a massive difference between 'counterfeit' and 'clone' products and the use of the former word in the survey does not imply, in my opinion, inclusion of the latter. Ummm yeah. This survey is dead on arrival due to that poor word choice. Start over. This is the reason I don't like the term clone brand for what I would generally call off-brand/other brand. 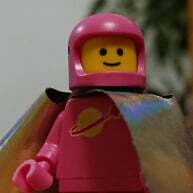 I get why peole call brands like megabolox clones, but they have only copied or 'cloned' the basic bricks, whereas counterfieters are now completely copying/cloning complete minifigures including print designs, unique acessories etc. Personally i think it's best to drop the term clone in favour of either other brand or counterfiet to save confusion. I prefer the term "clones" or even "compatibles" for perfectly legal other brands and "fakes" for counterfeits of lego sets / figures. I did start the survey, but had to pull out - as well as the ambiguity of counterfeit vs non-lego branded, the questions aren't clear. eg, it asks if I've bought counterfeit - to which I answered YES. But the next question assumed I'd intended to buy counterfeit - which I hadn't. Have a read through of the questions, tweak some of the questions. Define counterfeit - and re-post - I'll happily fill it in. I got half-way through and realised I'd been clicking strongly disagree rather than strongly agree. Thought the options had suddenly switched but turns out I must have just assumed '1' was Strongly agree. Compatibles is fine, I just think the term clone is too ambiguous when discussing with others. Hi @CCC, @NateStraight ;and @aldredd , thank you for your feedback, perhaps you can enlighten me from your perspective on what do you mean by counterfeit Lego products and clone brands? I incorporated "*Reference to Counterfeit LEGO Products would mean the LEGO clone brands in the current market." as a few other LEGO collectors suggested to me. I would be interested in learning it from your perspective. :) Maybe I can modify it to assist it the understanding of others. ^ Clone brands are not 'counterfeit' products though. They may be imitations of LEGO in many cases, but, by definition truly counterfeit sets are brick-for-brick recreations of LEGO designs. If you're trying to understand brand loyalty with regard to potential sometime-purchases of competitors similar products (like a Skippy peanut butter customer sometimes buying JIF instead), the discussion is confounded by your use of the word "counterfeit" which indicates something else ENTIRELY. Actual counterfeits are made to look like LEGO (often to be nearly indistinguishable from it), and those who purchase them either a) intended to buy LEGO in the first place (they were fooled by the counterfeit), or b) just don't know any better. Few buy them because they see competing value in them as another brand. On the other hand, so-called "clone brands" (the clearest, most well understood, commonly used phrase you could have / should have used) are made to directly compete with (not copy) LEGO, and people who buy them DON'T generally do so thinking them to be equivalent to LEGO, but rather as a competing good. In short, the reasons people purchase either type of other brick [counterfeit or clone] are completely different, and it's not clear from your survey which alternative market you intend to address (in fact it's not clear that you know yourself what it is you're looking for). The difference between a Chinese knock-off and MegaBloks is HUGE. If you are just intending to study consumer loyalty to LEGO as compared to legitimate, legal, free-market competitors like Mega Bloks, Kreo, K-Nex, Nano Blocks, etc, you NEED to use the word "clone brand" or simply "competing brand". Using "counterfeit" is so easily misunderstood as to completely undermine the validity of your survey design. I would hazard a guess English is not your native language; the word "counterfeit" does not imply "competing" / "clone" brands, despite your disclaimer that you intend it to. Nobody taking this survey would infer anything from your use of that term other than that you intend to compare LEGO to Chinese knock-offs passed off as being LEGO. Or, if you are a native speaker, you don't seem very familiar with the market(s) for LEGO and its various competitors. Don't mean to heap on, but I don't see where collecting the results of that survey will get you anywhere in establishing the relationship between purchasing clones/counterfeit bricks and loyalty to the Lego brand. I'm looking at this from 10000 feet of course, but I got one or two questions asking me if I'd ever bought 'counterfeit' bricks, and the rest asking me how I felt about Lego. I'm willing to bet you're going to have two stacks of results: "I have never bought counterfeits and I love Lego" and "I have bought counterfeits and I love Lego." done. btw, knockoff is the term I would use, or clone brands. Hi everyone, thanks for your valuable feedback and to a certain extent do I get where you guys coming from. Perhaps I should clarify myself on what I meant for counterfeit and thanks for calling that out @NateStraight ;. In a gist of what I wrote , the term counterfeit in many marketing articles are construed as illegal, low-priced, and often lower-quality replicas of products that typically possess high brand value and since the terminology for counterfeit was used rather broadly, it was also meant to cover deceptive/non deceptive counterfeit consumers. So in my context, I am actually referring to Decool, S and etc. If you're referring by "counterfeit" to things like fake Coach purses / fake Rayban sunglasses, suffice to say the market [especially the westernized domestic market, whatever country you're in] is MUCH MUCH larger AND more socially acceptable than the market for actual counterfeit / replica LEGO. I don't think the effects of counterfeiting Rayban sunglasses are equivalent to the effects of counterfeiting LEGO, given how vastly different the two counterfeit markets are, but maybe this is the point of your study. In any event, you should be much more specific in your survey about what it is you mean by "counterfeit". For instance, when the term comes up the first few times, name / identify some example brands and products [as you did in your above post] so that it's unquestionable to the respondent what you mean.